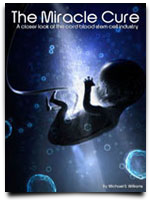 BloodBanker Funded | Cordblood banking - Secrets of stem cell technology revealed! BloodBanker is seeking and supporting creative projects that need funding to get into production and be introduced into a larger market. With the help of Kickstarter.com, the world’s largest funding platform for creative projects, BloodBanker gets to help promising and potentially great projects from the world’s brilliant minds through funding and pledges. Check out other projects we’ve funded here. 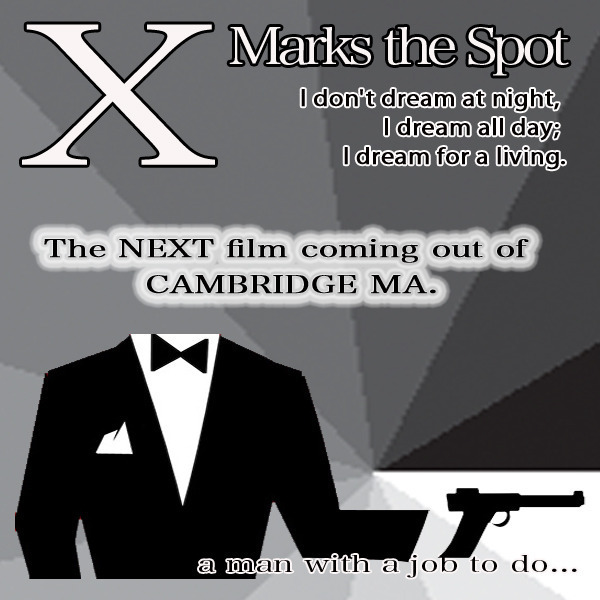 One of the projects that BloodBanker has funded is “X Marks the Spot“, a short film by a production group at the Cambridge community television drama club. The team wants to improve their film and television production skills starting with this short film. What is X Marks The Spot (A Short Film)? “X Marks The Spot” follows the story of Xavier LaMarque, a janitor who is stuck in a world of disappointment. His only escape from reality are his day dreams where he takes on the persona of a private investigator named “X”. The team will start with a short film but they plan to eventually make this into a feature length film or a scripted series for television. To get this promising project started, Erik Brown and the rest of the production team, came to Kickstarter gets the support that they need. The funds would be used for wardrobe, set design and talent fees for the artists. The team’s funding goal was only $100 and since it’s not that hard to hit, they successfully reached their goal and was able to raise $121. If it weren’t because of the 6 generous backers who believed in the project, “X Marks The Spot “would just remain as a story written on a paper. Thanks to the backers, “X Marks The Spot” would now become a reality. Definitely, programs like these are only made possible by donations from people like you! One of the projects that BloodBanker has funded is Educational colorimeter kit, a project by IO Rodeo which is an open source company that designs scientific instruments for life science research and education. A Colorimeter is a device used in colorimetry that measures how the color is absorbed by a substance or object. This light-sensitive instrument is commonly used in science laboratories to measure the concentration of a solution from its light absorbing properties. This Educational Colorimeter Kit is created by Will Dickson, Cisco Zabala and Joanne Long of the IO Rodeo. They purposefully designed this to be a kit rather than a pre-assembled device. No soldering is needed anymore because the electronics are already assembled. This is ideal to be used in classroom activities because it takes only 20-40 minutes to assemble and the step-by-step assembly instructions are written on the colorimeter user manual. This educational colorimeter project includes hardware designs, electronic designs, arduino firmware, and user-friendly software tools for data collection and analysis. The colorimeter hardware is made up of laser cut acrylic. Other design features include a cuvette holder for standard lab cuvettes and a sliding lid cover. IO Rodeo wanted to turn this working prototype into an affordable classroom kit so that more students can access this improvised device. This is also designed for educators and DIY scientists alike. But a project as ambitious and helpful as this needs sufficient funding to be manufactured. That is why they came to Kickstarter community to ask for financial support from backers to help them reach $8000. Thankfully, 129 generous people backed up this project and they were able to raise $10,000 pledge. 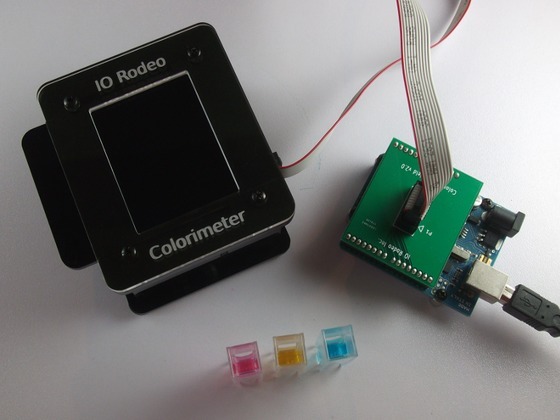 On behalf of IO Rodeo, we would like to thank the backers who supported Educational Colorimeter Kit. Students, educators and up and coming scientists will surely find an easier and more convenient way to help them with their lab work. 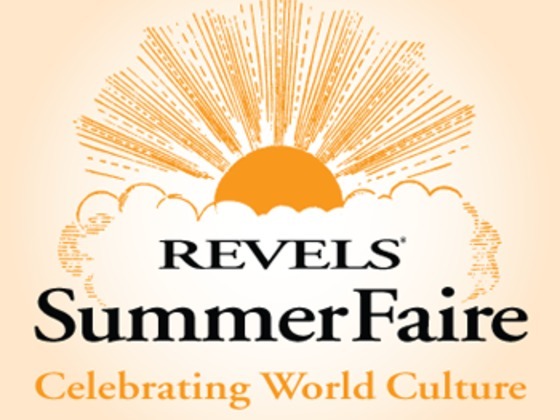 One of the projects that BloodBanker has funded is Revels SummerFaire 2012, a project submitted by Debby Garman, the Executive Director of Portland Revels organization since 2006. Revels is all about honoring the seasons and the celebration is made more colorful and festive by the singing, dancing and other activities made for and by its diverse and wonderful people. What is Revels SummerFaire 2012? Revels SummerFaire 2012 is Portland’s new free public event in honor of the Summer Solstice. On June 23, 2012, they celebrated the Revels SummerFaire 2012 at the PSU Farmer’s Market. The mission of the event is to celebrate the seasons in community with different traditions and the performing arts. Garman and the rest of the organizers wanted this very special event to be unforgettable and grand, so they came to Kickstarter to ask the community to support this activity. Obviously, to create an event as large and festive as this, they need money to support the activities ranging from the thousand of dollars for park permits, to big stages and excellent sound system, to the materials for kids to mess around and huge banners to make up for the parades. Fortunately, with a great spirit of community both from Portland’s people and online backers, Revels SummerFaire 2012 reached its funding goal of $3500 on June 18, 2012.
Who were there at Revels SummerFaire 2012? Revels SummerFaire 2012 invited terrific performers to grace the main stage such as Revels’ ViVoce Singers, The Oregon Chorale, Indonesian Performing Arts of Oregon, The Portland Peace Choir, Yiddish Republik, Original Practice Shakespeare, Bollywood Movez, Inspirational Sounds from Latin America, NW Conservatory of Dance and The Tir Eoghain Dancers. Other sights “on the green” include performances from Renegade Rose Morris team, The Wild Rose Garland Dancers, and Storytellers from the Portland Storytellers Guild. Revels SummerFaire 2012 also had volunteer hosts that offered hands-on workshops about the seasons and solstice and some arts and folks traditions to hook and educate children and families. The Revels SummerFaire 2012 was a huge success. Thanks to the organizers who passionately worked hard in making this event a reality, to the local residents who gave their time and talent to the activities, and of course, to the 60 kindhearted backers who believed in the project. With a venue like Kickstarter, more local events like The Revels SummerFaire 2012 will have a chance to showcase their great share of artistry, creativity and draw the community closer than ever. 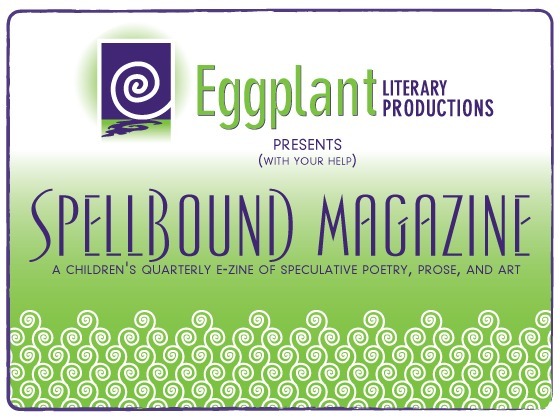 One of the projects that BloodBanker has funded is Spellbound Magazine, a children’s fantasy e-zine edited by Raechel Henderson and Marie Tentchoff. It is published by Eggplant Literary Productions and is designed for kids ages 8-12. According to its editor Raechel Henderson, the whole idea of Spellbound Magazine is to make something we would have read when we were kids. Spellbound is a quarterly magazine where each issue has themes that revolve around fantasy creature such as dragons, shape-shifters, trolls and griffins. They published a total of 16 issues from 1999-2003 but in 2003, they stopped publication because of budget shortages. The magazine received many glowing feedback from readers, parents and teachers, but because they have no advertisements and the cost of postage and printing became too heavy to bear, Eggplant Literary Productions had to stop their mission in creating great stories. But almost after a decade of resting, the creators of Spellbound are back with a blast! They’ve decided to relaunch the magazine and they are going online. Eggplant Literary Production takes advantage of the increase of e-readership and they want to publish Spellbound as an ePub readable on Kindles, Nooks and other e-readers. In this way, they can bring fiction, art and poetry to an even larger audience than ever before. They will publish four issues per year in ePub format and issues will be available from Barnes & Noble, Smashwords and Amazon for $5.00 each. You can also subscribe to them; subscriptions will be available with issues being e-mailed to subscribers for only $20 a year. Spellbound Magazine has been Successfully Funded! Luckily, Eggplant Literary Productions reached their funding goal of $4000 on June 9, 2012. With the help of 124 generous backers, Spellbound Magazine will come to life on December 2012 with their 1st issue – The Winter 2012 (Rings and Other Magic Things). The funded money will go to paying for content and production costs, and they can expand their readership and secure their second year and beyond. And since they are going electronics, the team will be able to pay their contributors more this time since they don’t need to spend much on the printing anymore. Spellbound Magazine is a product of few of the world’s creative minds and passionate hearts. In behalf of the Eggplant Literary Productions, we would like to thank all the amazing backers who believed in this project. Spellbound Magazine provides a medium where people of all ages can believe in fantasies and magic, and where everyone who reads this can be a child once again. 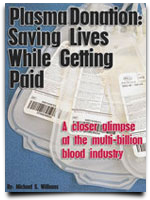 One of the projects that BloodBanker has funded is “Based On A Couple of True Stories”, a film and video project by Micah Lorick. It is a story about the Barker couple who are experiencing various marital issues that involve their families and friends. What is Based On A Couple of True Stories? 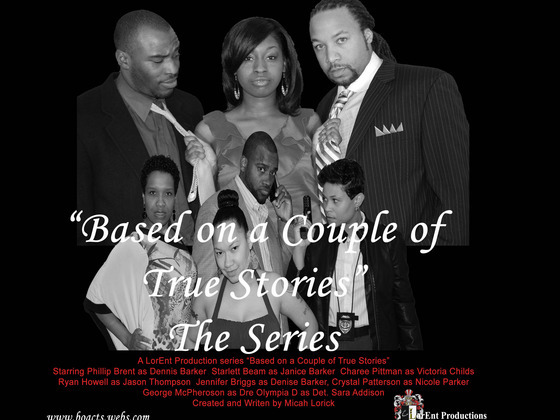 “Based On A Couple of True Stories” started off as several short films in 2010. The Dennis and Janice Barker Episodes were entered into a number of film festivals. The Janice Barker Episode won the 2011 Best Short Film Award at the Charlotte Black Film Festival. Now, the team behind the independent short films wants to bring Dennis and Janice’s story into each household. That is why they want to produce a TV series in Charlotte, North Carolina that is based on true stories but will be put in imaginary situations to artistically add more drama, emotions and suspense into the series. The team is planning to make 13 thirty-minute episodes. Since they are independent filmmakers with no sufficient budget to support their endeavors, they need us to help them! “Based on a Couple of True Stories” has proven its quality when it bagged the Best Short Film Award for the Janice Barker Episode. This time, they are asking for our financial support to let them do a TV series that is worthy of the audience’s time. They need a $60,000 budget to start the project. They will use the money as payment for the actors, locations, props, equipment, sound and lighting and other production costs. Since they will have 13 episodes, they will also need more cast members and more stories, which explains why they need such big amount. Most TV series in the USA nowadays are produced by large TV networks and production companies. There are also incredible ideas and stories waiting at the sidelines of Hollywood but are short of budget, and “Based on a Couple of True Stories” is one of them. With the support of the Kickstarter community, projects like this are given a chance at the spotlight and show to a larger audience how great their work is! One of the projects that BloodBanker has funded is Greetings from Coney Island (a story told via your mailbox! ), a project by Gyda Arber of Brooklyn, New York. She dedicates this fiction project to her writing partner/fiancé Aaron Barker, who passed away a month before their scheduled wedding date. Greetings from Coney Island is a brainchild of Gyda Arber, a writer/director/transmedia artist who is best known for making ARG theatrical Red Cloud Rising and the ipod noir Suspicious Package. The idea of Greetings from Coney Island is: you receive a handwritten vintage postcard from Coney Island that is addressed to you and is signed by a mysterious “M”, a faceless person who apparently misses you so much. You can have it addressed to you or it can be delivered to whoever you’d like, 8 to 12 weeks of a personalized story makes it a great gift for anyone. Each correspondence will be custom-printed, and prepared by hand (type written or hand written). So you can be sure it is indeed a personalized letter and is not mass printed. It is especially made for you and each week, patrons of this project will receive unique stories and faux memories that the writer creates your unfolding story with “M”. Why support Greetings from Coney Island? What can this project possibly do? How relevant and significant is it to your community and much more your life? Greetings from Coney Island is the only project that offers a simple gesture to life’s fast pace. Each letter and post card allow us a few minutes to read and immerse ourselves in a story as it unfolds. We all are so used to all things virtual and at times miss the good old days when people took time to write their thoughts just for you. In 50 years or so, I doubt if anyone will ever find a bunch of love letters tied with a ribbon, with each parchment a joyous journey of another person’s life. Once you discover the depth of the inspiration for this project you would come to appreciate and value thoughtfulness and sweetness. Gyda dedicates her first solo project to the ultimate love of her life, Aaron, who passed away a month before they were to be married. Greetings from Coney Island touches on a more personal level, it lets you reminisce the good times with a loved one despite them being gone. This Kickstarter project is a vehicle for creativity and imagination. Though not all patrons have ever been to Coney Island nor was there an “M” in your life, receiving postcards stories from Coney island gives transports you to an entirely different era. Those who fund this project unto it’s success get unique custom-printed post cards and letters for 8-12 weeks from Coney Island- by far the coolest thing on earth! This is a personalized story just for you, not something you can buy at the mall or a novelty stores. Only a fully-inspired heart can do this, which is what Gyda does best! The project has been successfully funded! From its funding goal of $3,500, it has received accumulated pledges of $6,369. On behalf of Gyda Arber, we thank all of the backers who believed and supported this amazing project! As promised by Gyda once the pledges rech $5000, Kickstarter’s who have pledged their funding get a bonus video from “M”. 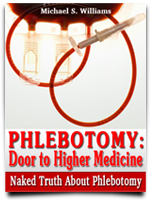 One of the projects that BloodBanker has funded is “Candida”, a play by George Bernard Shaw that is put to life on stage by the White Heron Theatre Company. White Heron Theater asks the support of the Kickstarter community to help them bring Candida to the Edinburgh Festival Fringe, the world’s largest arts festival, this August 2012. 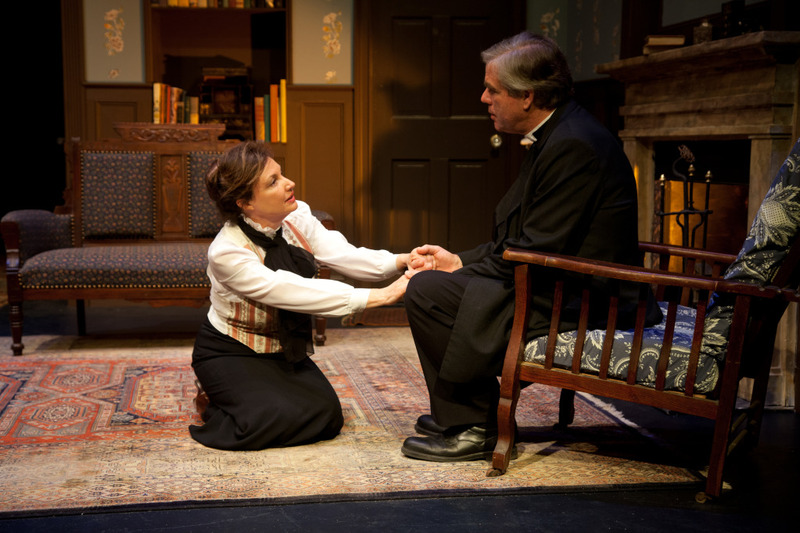 “Candida” is a comedy written by playwright George Bernard Shaw and is one of Shaw’s personal favorites. The play revolves around the story of the main characters: clergyman James Morell, his wife Candida and youthful poet Eugene Marchbanks, who is also inlove with Candida. “Candida” explored theme of Victorian notions of love and marriage and social morality. White Heron’s production of “Candida” challenges the audiences about their views of the sexes and touches them on a personal level. What is White Heron Theatre Company? White Heron Theatre Company is a professional theatre organization based in New York City and Nantucket Island, USA. They have performed off-Broadway in New York. The group’s mission is to make a character-based living theatre that can transform audiences by affecting them in a deep and personal way. White Heron came up with a different approach to theatre where they expanded the boundaries of classical theatre and made it personal for modern audiences. The team brought “Candida” on stage last January 2012, and with the positive response from audiences, White Heron wants to bring the play to Scotland, the home of the world’s largest arts festival – Edinburgh Festival Fringe. There are many reasons why one would watch and support a theatrical performance. For some, performing arts has direct impact into their lives while some find theatre promising and enriching. The theatre has many underlying themes that tickle an audience’s intellect and evoke one’s understanding of social issues. Candida is relevant in the society because it covers issues of feminism, socialism and religion – three of the most pressing issues today. With the help of the Kickstarter community, we can bring a promising and unique play like “Candida” into the capital of Scotland, in a time of the year when all performers across the globe gather and perform in the name of art. Update: Candida Has Reached Its Funding Goal Of $29,000! On Behalf Of White Heron Theatre Company, We’d Like To Thank The Other Generous Sponsors Who Helped Funded Candida. With our support and faith in Candida, we can bring contemporary, classical theatre to the world stage! One of the projects that BloodBanker has funded is “Alive Inside: A Story of Music and Memory”, a documentary project by Michael Rossato-Bennett about how personalized music can awaken and restore deeply locked memories in patients with Alzheimer’s and dementia. Rossato-Bennett and his team wants to take Alive Inside around the globe to encourage widespread adoption of personalized music programs in nursing homes that could help both the patients and caregivers. As a documentary film, “Alive Inside” seeks to spread word that there is hope for those who are struck with despondent diseases like dementia and Alzheimer’s. 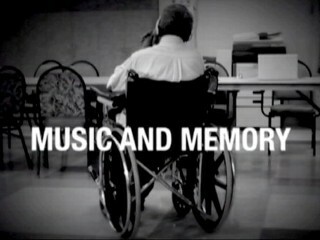 This follows the story of Dan Cohen, a small town social worker who discovered that music has a power to bring back memories of patients who suffer from memory loss. 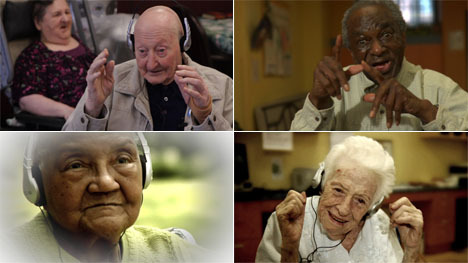 He decided to bring iPods to a nursing home and was caught in total surprise when many patients seemed to have awaken when they listened to music from their past. Overwhelmed with excitement, Dan asks Dr. Oliver Sacks, a renowned neurologist, to help him investigate the mysterious ways of how music functions inside our brains and in our lives. In the United States alone, there are 5 million people who have Alzheimer’s and dementia. “Alive Inside” wants to spread good news that it’s not yet the end of the world for patients suffering from these diseases. Rossato-Bennett and his team hopes that the film will inspire and educate people who are burdened by Alzheimer’s and dementia and open possibilities of creating a new kind of low cost treatment that can also help caregivers and doctors across the world. Though “Alive Inside” follows the journey of Dan Cohen, it also lets us take a peek of the heart-gripping stories of some elderly patients inside the nursing homes. It takes us inside the halls of nursing home and tells us how it feels to work and care for the elderly, at the same time, we witness the pure reactions of happiness of the patients as they exhibit pure joy of what it truly feels to be alive inside. A video clip of Alive Inside was uploaded on YouTube and has impressively reached 6.4 million hits in just over four days. In the video, we meet a 94 year-old dementia patient named Henry, who is unable to recognize even her daughters. But after he listened to music from his past, it was as if he was awakened and was instantly brought back to life. The clip became viral and has apparently touched so many hearts and lives. They received emails and calls from people all over the world and wanted to see the full version of “Alive Inside”. What will They Use the Money for? Alive Inside is definitely a touching and moving documentary film that can change so many lives. The problem is, it is not finished yet. The film is almost done but they still need money to help them have it released for a big theatrical release. Among the things that they need to do are: complete the color correction, audio mixing, graphic integration, acquire music rights and create a digital cinema package. The team is also developing an official “Alive Inside” App that will help anyone, regardless of condition, find the music that has a huge impact to them in their lives. With your financial support, the team will bring “Alive Inside” to theaters this fall. But if you do not have money to spare, you can still help the them by sharing their Kickstarter page or video on Facebook, Twitter and spread the word to your family and friends. Rossato-Bennett emphasized that if they don’t meet their funding goal in Kickstarter, they don’t get to keep any of the money they’ve raised. It’s all or nothing here. So we are all encouraged to tell everyone about this amazing documentary film just so the project won’t be discarded. “Alive Inside” is not just another documentary film; it has elements of emotions and life that will surely take you to a deeper level of love and compassion for the elderly and afflicted. One of the projects that BloodBanker has funded is “PO Box 1142”, a project by Alex Kanakaris dedicated to Major Arnold Kohn. Major Kohn, whom Kanakaris considers as the greatest teacher he has ever met, is the chief intelligence officer for PO Box 1142 during World War II. Kanakaris wants to write a book, make a movie treatment and create a website about PO Box 1142, and narrate to the world a part of its history that only a few has come to know. What is PO Box 1142? Based out of Fort Hunt, Virginia, PO Box 1142 was a secret American military intelligence facility that operated during WWII. PO Box 1142 was a codename and the men who worked on this team used intelligence and cunning instead of humiliation and torture when they interviewed Prisoners of War (POWs). Among the famous prisoners that were held captive at the facility were spymaster Reinhard Gehlen, rocket scientist Wernher von Braun, infrared detection inventor Heinz Schlicke and German U-Boat commander Werner Henke. In short, PO Box 1142 was an interrogation center and they had interrogated nearly 4,000 of the most important German POWs, including scientists, submariners and soldiers. 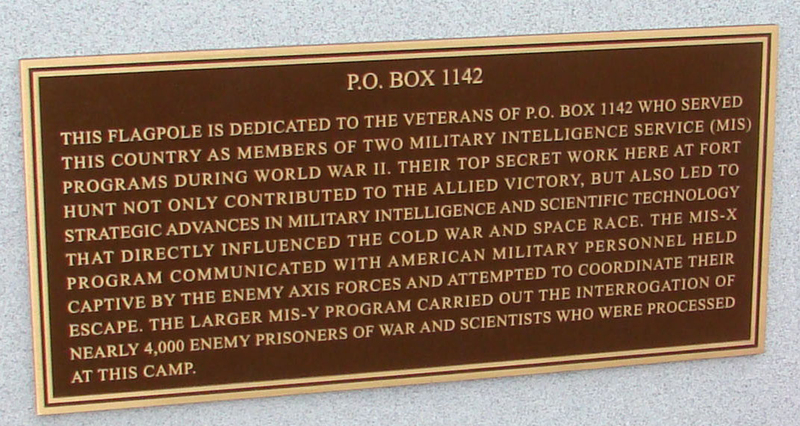 The work done at PO Box 1142 contributed to the Allied victory of World War II, impacted the Cold War and led to the advances in scientific technology and military intelligence. PO Box 1142 was indeed a great help for America but since the mission was top secret, the patriotic veterans kept silent for sixty years. Finally, after a long time of living life in silence, the veterans were honored by Congress. In October 2007, the veterans reunited for the first time since the war ended at the Fort Hunt Park, where the facility originally stood. And their story can now be told. Why support PO Box 1142? Alex Kanakaris from California believes that what transpired in PO Box 1142 is an event worth telling to the rest of the world. This is something that need not get buried in the history along with the untold stories of the world’s unsung heroes. Kanakaris is asking the support of the Kickstarter community to help him finish what he has started. PO Box 1142 project consists of an eBook, paperback book, website and movie treatment, which he dedicates to his mentor, the late Major Arnold Kohn. Major Kohn was the one who encouraged Kanakaris in his writing skills and helped him publish a high school newspaper. Karanakis was a part of Kohn’s Individualized Study Program at Pacific Grove High School in California and the late chief intelligence officer helped Karanakis succeed in school. The modern world can all learn from the strategies and experiences PO Box 1142 had endured during the war. They never resorted to violence and torture such as sleep deprivation, electrical shock or waterboarding just to obtain information from the POWs. Instead, they befriended each captive to earn their trust. They talked and walked with them, played card games, which led them to acquire the necessary information from the prisoners. These interrogations resulted to the discovery of Germany’s secret weapon programs and USA’s victory in the war. Truly, the current intelligence community can get valuable techniques and information from the veteran’s experiences. PO Box 1142 is a living proof that success can be achieved without violence. Hopefully, when this project gets funded, we can learn from the stories of these veterans and use them to our advantage. Update: PO Box 1142 has only 6 days left to go to reach their funding goal. Their goal is to reach $1000 but they still have accumulated pledges of $162. With your generosity and trust for the project, PO Box 1142 will reach more people and the world will come to know the team responsible for America’s victory during the historical second World War. One of the most creative projects that BloodBanker has funded is Tableau Vivant of The Delirium Constructions a project for theater arts. This is the brainchild of Sarah Small, a photographer and artist from Brookyln, New York. Tableau Vivant of The Delirium Constructions is a play like no other, it will tickle your imagination and open your mind to a whole new level of artistry. Literally, Tableau Vivant means “living picture”. This describes a group of suitably costumed actors who carefully posed and do not speak or move in the duration of the play. Practically, tableau vivant is the marriage of theater and painting or photography; thus emerges a new and sophisticated form of performance art. What is Tableau Vivant of The Delirium Constructions? This particular living picture presents to the audience 120 people who are randomly clad either in period costumes, contemporary fashion or in nakedness. They all pose and move on stage, doing a performance that incorporates classical aria, choral drones, local folk song, string instruments and arrhythmic gesture with choreographed movement. To experience it is mind blowing. This is what Tableau Vivant of The Delirium Constructions wants the audience to experience in every performance they give. Tableau Vivant of The Delirium Constructions is a multi-disciplinary performance art project derived from the processes and method of Small’s still photographic series. This 75 minute performance has 120 people in the cast that consists of vocalists, string players and models. The play explores different characters and themes brought together in the same space to study fanciful and close interactions. Each performance of their planned tour will take music and movement that represents the cultural or regional character and tradition of every area. Small conceived this wild idea when she was standing amongst the painting galleries at the Louvre. The paintings were full of emotions, expressions, gestures and meanings. Small thought what if the subjects of the paintings just got out from the frames to intermingle with one another? That was how Tableau Vivant of The Delirium Constructions came to life. Tableau Vivant of The Delirium Constructions is not the type of performance you’d see on traditional theater houses. This performance art brings you something beyond the ordinary. It has bizarre mixtures of music, dance, visual spectacle and experiment. Why support Tableau Vivant of The Delirium Constructions? Sarah Small wants to take Tableau Vivant of The Delirium Constructions around the world and let people from different races and culture witness this peculiar yet ingenious performance art. She is asking support from the Kickstarter community to help her launch a two-year-long Global Tour for Tableau Vivant. The team will travel the world to allow for each performance to draw its identity from within the existing community starting in 2013. As they travel in various cities, the team will incorporate new musical repertoire into the performance which will be taken from site-specific cultural tradition and native folklore. Tableau Vivant of The Delirium Constructions aims to build community and connectivity through art – the kind of art the world has yet to see. Update: Tableau Vivant of The Delirium Constructions has only 7 days left to go to reach their funding goal. Their goal is to reach $100,000 but they still have accumulated pledges of $20,959. It’s not going to be an easy feat, but with your generosity and trust for the project, we can help Tableau Vivant capture the rest of the world. Let’s not miss this chance to bring extraordinary project to a larger market.